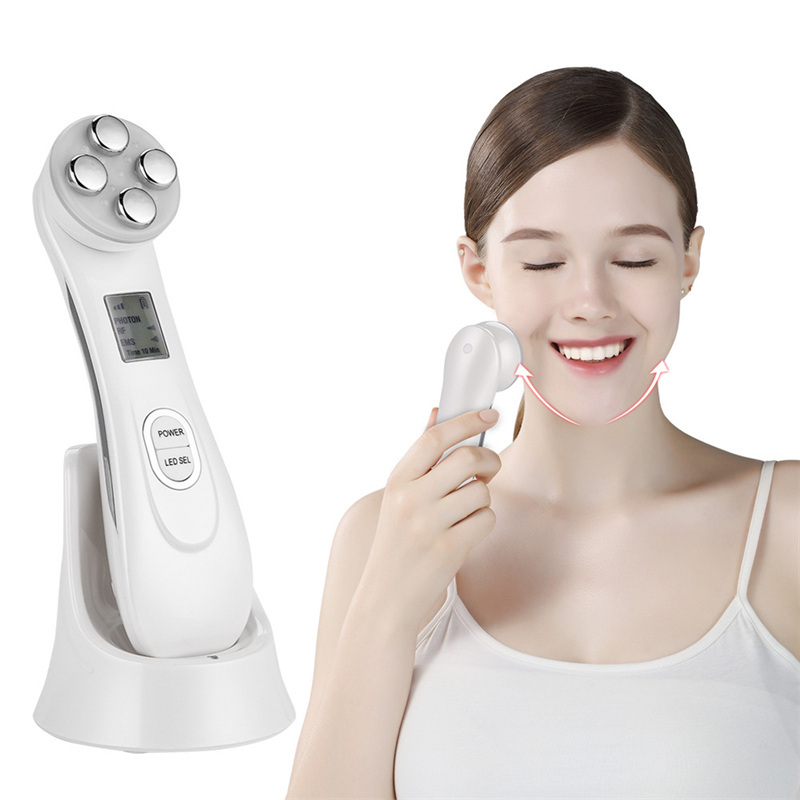 This beauty instrument adopts with EMS current, electroporation technology, RF radio frequency and LED, what multifunctional it is, so that it can solve many skin problems. First. The EMS current can activate cell and create new collagen, finally make you skin become more firm, more energetic and elastic, improve the fine lines and wrinkles on the surface of the skin. Second. The electroporation technology can create the gap between cells for a short time, which make skin absorb more skin care products. Third. RF radio frequency can relieve muscle pain and skin fatigue, ease skin tension, reduce redness, swelling and pain, and resist repeated growth of acne. Fourth. LED light have pink, yellow, green, blue and pink flash light six modes. These LED light can whiten skin, brighten skin tone, promote the regeneration of collagen, inhibit the excessive production of melanin and contractive pore etc. The product have 5 intensity level to choose, you can adjust it according to skin type and personal preference. This beauty instrument is no toxic, side effect, painless, suitable for all types of skin. Note : The built-in LED lamp won’t generate heat.